Coin Chemistry: Surface Reactions-Elliot Hertzenberg – Wilmington Coin Club March 2018 Presentation. Please donate by June 8, 2018 to insure your donation arrives by June 14, 2018. The Eric P. Newman Numismatic Education Society will match all the proceeds earned during both week’s YN auctions. Your numismatic donation is now doubly helpful!! To request a donation form or if you have any questions you can reach me by email at numismatistkenny@gmail.com or > click here for an email window to open – the form includes the ANA address to send your donated item(s). Here is a video discussing the ANA Summer Seminar and the Young Numismatist auction. Welcome back to Numismatics with Kenny. Today’s video is a special request made to my subscribers and viewers. As many of you know, the American Numismatic Association conducts their two-week Summer Seminar at the ANA headquarters and Colorado College in Colorado Springs, CO each summer. If you have not attended a seminar, I highly recommend you go as you will have the opportunity to meet a number of great numismatists from the United States and some from all over the world. Go to money.org to learn more about attending the seminar and to download the seminar’s course catalog. I will be attending my fourth Summer Seminar this June and was recently contacted by the ANA to lead the first week’s YN (Young Numismatist) auction. In addition to the great courses, ANA library book sale, the wonderful comradery, a highlight to each week is the YN auction. Each year, the ANA offers a good number of full and partial scholarships to young numismatists to attend the seminar. The scholarships pay for the seminar courses, travel expenses, and room and board. Each week an average of 25 young numismatists join the many adult numismatists who attend the seminar. The YN auction is the primary fund raiser to pay for these scholarships. 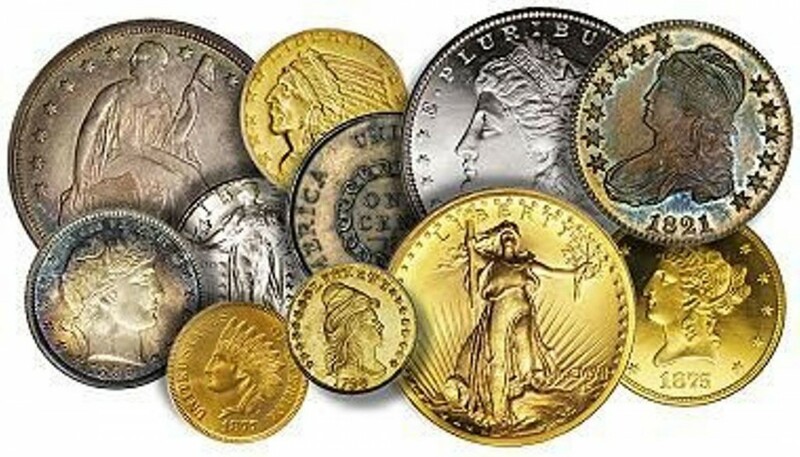 Attendees and others who desire to promote our hobby to young collectors contribute numismatic items – US and world coins, ancient coins, tokens, currency, and other numismatic items to the auctions. The young numismatists attending the seminar collect, catalog, head up lot viewing, and run the auction. It is a great experience for all of us. The auction is held on the next to last night of each week’s seminar. All attendees are welcome to bid and as the proceeds go towards the YN scholarship program, the bidders are very generous in their bidding. And now for my request of you. If you are in agreement that we need to have more young collectors in our great hobby, I ask you to send some numismatic items to this year’s summer seminar. Your generous gift may be tax deductible and is going to a great cause. Any donation is appreciated but if you are wondering what the normal value range of the donated item has been in the past, it normally ranges from $25.00 to well into the hundreds of dollars. Again, any donated numismatic item is appreciated. When the auction is over, you will receive a thank you letter from the ANA. You can keep the letter for tax purposes. The ANA does not assign a value to your donated item or items. You will determine the value. To donate, simply email me and request a donation form at numismatistkenny@gmail.com or click here for a donation form– the form includes the address to send your donated item(s)and I will send you a donation form by email which includes the ANA’s mailing address.